The brands have invaded Instagram, and there is no going back. A new report from the Guardian looks at the rise of the Instagram-famous fashion brand, like Dear Frances (handmade Italian shoes), Staud (frilly tops and color blocked dresses), Never Fully Dressed (silky wraps) and how the algorithms that push their content in front of users are now deciding what’s hot and what’s not in the world of fashion. These brands are a lot like Everlane, which made a name for itself by eschewing a brick-and-mortar store (gasp!) in 2010, but some of them don’t even need real websites. Because the consumers they’re targeting (young women with disposal income) spend so much time on Instagram every day, and because the platform has launched tools to let users shop looks without ever leaving the app, some brands just operate on Instagram and treat their account as a ever-updating showroom and mood board. 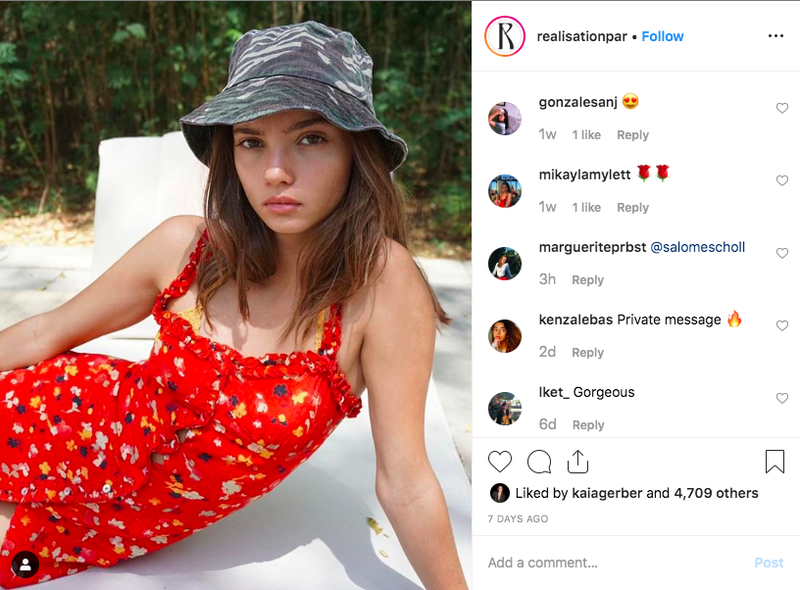 What left’s out the piece—and sticks out for me—is what happens when an Instagram trend gets really big, like the Guardian points out the leopard-print slip skirt did last summer. Isn’t the whole point to wear something no one else is wearing? These brands trade on a certain kind of exclusivity; Instagram arguably democratizes it. So what’s the lifespan of an Instagram trend, anyway? Is life just buying new pair of slightly different strappy platform sandals every year until you die? That’s not all that different from the way fashion works to begin with, I know—but this doesn’t seem sustainable. I’m just worried about a future in which everyone in Brooklyn looks exactly the same, because everyone just bought the same outfit that Bella Hadid wore. The furthest logical outcome of all of these trendy Instagram brands actually looks really, really boring.